Arguably, one of the pioneers in the consumer sector for more “rugged” devices (or at the very least IP certification) has to be Sony. Back in 2012, they introduced the Xperia Z line of the devices, which marked a turning point for Sony in most of its philosophy as well as its design language. They completely overhauled the look and feel of the devices they had in favor of the glass slab that they offer even in today’s phones and tablets. Despite its fragile appearance, most of their offerings were drop-tested and were able to withstand a substantial amount of mistreatment. 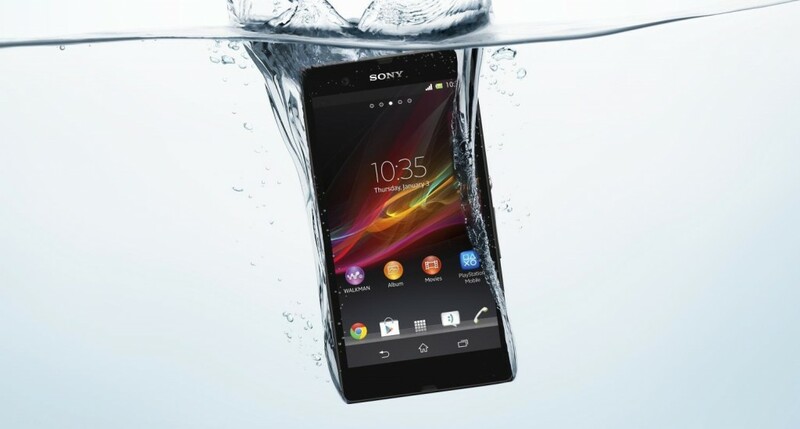 On top of all that, the Sony Xperia Z was the first commercially available phone from Sony to me, marketed as “water resistant” with an IP56 rating for water and dust ingress (which isn’t really much, but at least it would keep your phone going in spite of an accidental drop in the beach or in the pool). However, the phone was advertised in such a way that it it looked as if the device was waterproof and not water resistant (there is a big difference). This led to a lot of water-damaged devices, which Sony did nothing about and eventually, a class action lawsuit was filed (and won) against Sony. People used to do all sorts of crazy things with the phones. Everything from dropping them on concrete, to dunking them on glasses of water, wine, beer, hot chocolate, and there is even a video in Youtube of someone cooking the device in soup (because why not, right?) Then, you had the more “sane” ones (like yours truly) who would simply use the device, at most to take pictures in a pool (at around 2 inches in depth) to test how the camera would perform under water. There were some precautions that needed to be taken before the water activities took place, like for instance making sure all the access ports were securely closed to prevent water ingress. Personally, I always did it with my phone. However, one day, my Xperia Z simply stopped working. I decided to have a close look at the ports (which had multiple water detecting strips) to see if maybe I had forgotten to close the lids as per manufacturer instructions. The water indicators were white as snow, which means that either the device was failing for a different reason or water had gone in through a different place. Upon closer inspection of the device, I noticed that the back glass panel of the phone was raised and could actually be pressed back into place only for it to pop up again. The area was right around where the processor was placed (a Snapdragon S4 Pro) and it was no surprise as there were reported overheating issues with the device. If you are going for the cash alternative, you do have a deadline to meet, which is January 30, 2018. Whichever course of action you do decide to take, please make sure that you understand the entire lawsuit document before doing anything! Did you get affected by this or any other similar marketing claims? Please share your experiences in the comments below!